Made of high quality material, this tapestry is very comfortable and soft. Features 3D animal patterns, it is very special and cool. 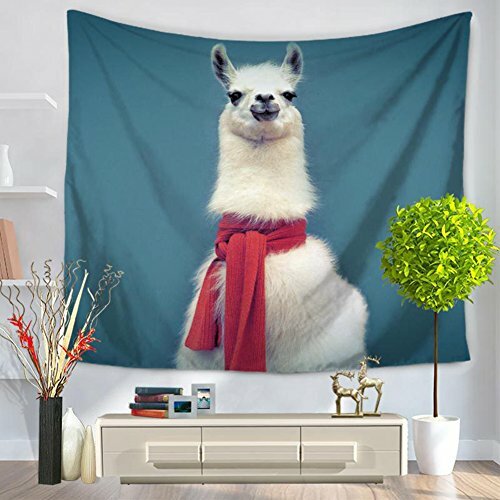 The digital dyeing technology give this tapestry a high clear real-like look, a great home decor and wonderful gift for friends, especially if (s)he likes alpaca or panda. We want our customers to be 100% happy. If you have any questions, contact us through service e-mail or messages. Multi-usage: wall hanging, beach, picnic, sofa, bed, table, ceilings, etc. If you have any questions about this product by MeMoreCool, contact us by completing and submitting the form below. If you are looking for a specif part number, please include it with your message.